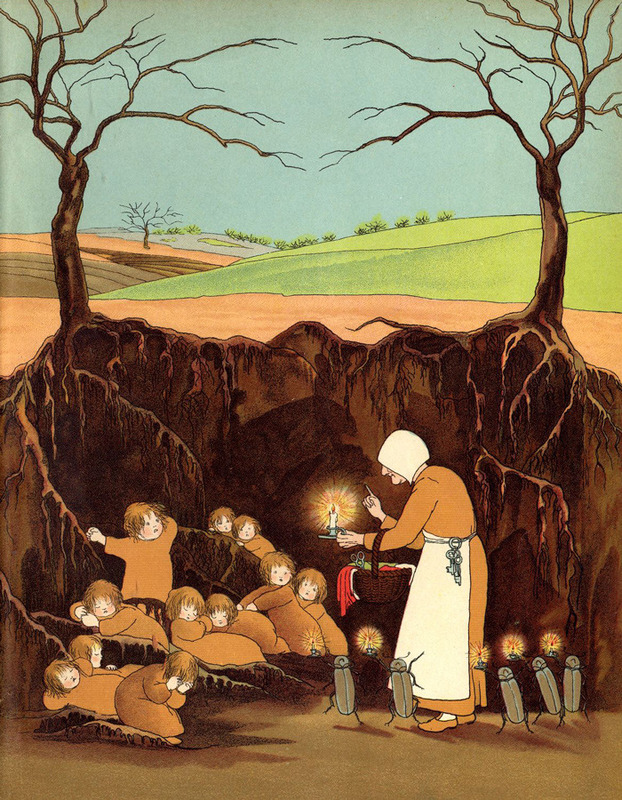 Like many literacy teacher educators, I (Cathy) sometimes tasked my student teachers with bringing in, or finding pictures of (if possible), their favourite picture book from childhood. My student teachers loved this task, and were excited when someone else brought in the same book. I often saw Mr. Muggs books; Robert Munch books (especially I Love You Forever); Amelia Badelia; Madeline, and; super hero comics! But I never saw mine. As late as grade five, I would sneak the book home, terrified of being teased or bullied for taking it out of the library. 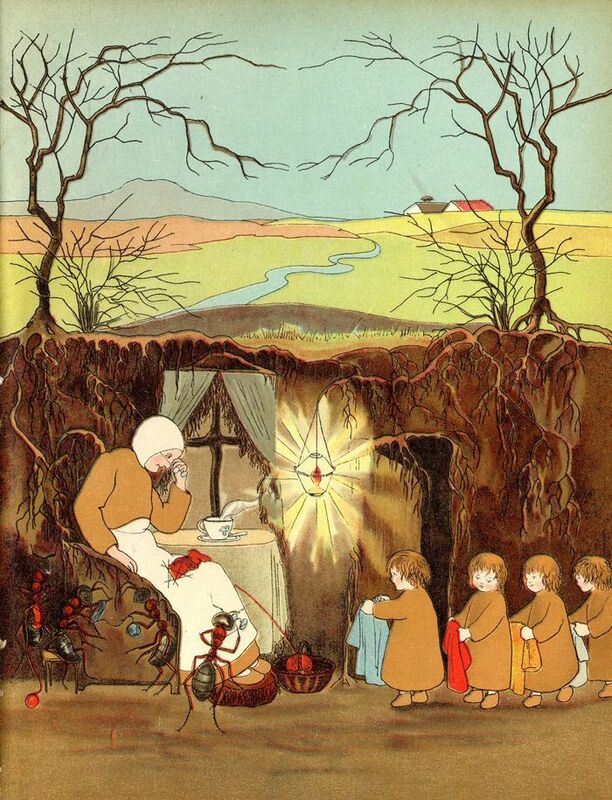 It was a book for little children after all, but I loved it so. It was worth the risk. It was called, When the Root Children Wake Up. I have searched for a hard copy to own, but have never found one. I have discovered many newer versions (Helen Dean Fish’s, Audrey Wood’s) and as lovely as these illustrations are, they simply don’t touch me the same way. Recently, however, I discovered my treasured version posted in the International Digital Children’s Library. ( http://www.childrenslibrary.org/ ) The author is listed as Sibylle von Olfers (1881–1916), and the text is in German. I suppose the book was originally in German. I had no idea the book was so old. The title is different than I remember, but I actually held my breath when I saw the illustrations again. Those were the pictures I held dear: so simple, so precious. I still love them. 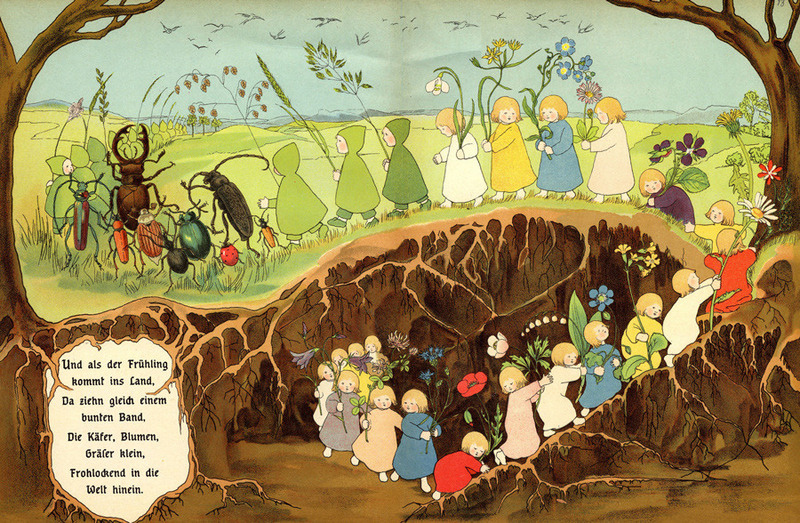 What’s your favorite picture book form childhood?